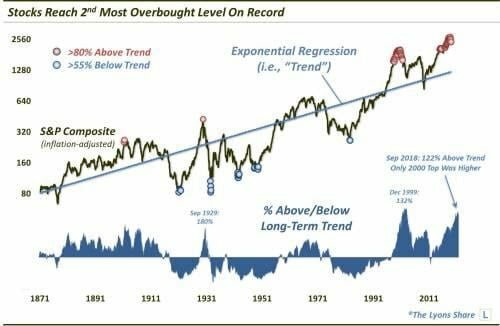 The stock market does not represent the real economy in a perfect fashion. For long periods of time, fundamentals do not dictate prices of publicly-traded companies. Rather, it is sentiment, momentum or the lack of alternative opportunities that can cause rising or falling prices. Over the long-term, though, stocks reflect the strength of the company’s future cash flows, which are ultimately the profits that shareholders can expect and, therefore, value the stock by. In the short-term, many conflicting factors rule investors’ thought processes and they do not necessarily judge the worth and price of their holdings according to the stability of the underlying business, its competitive advantage, its balance sheet, or the validity of the industry it is a part of. These short-term calculations investors make also include their opinions of external events, general economic conditions, and circumstances that are indirectly related to the company, such as interest rates, the job market, political challenges, and their appetite for risk or diversification. Investors change their minds almost in a heartbeat, turning from bullish to bearish and from optimists to pessimists with very little to substantiate their claims and outlook. We just saw a perfect example of this chaotic behavior in December and January. Our role, then, is to take a step back from this daily madness and think about the whole picture with logic and reason, whereas most investors cling onto their emotions when they make critical decisions. U.S. corporations, especially the S&P 500, Dow Jones, and NASDAQ component companies, are far from being representational of the domestic economy since an overwhelming majority of them are dependent on their international operations for revenues. Asia, Europe, and emerging markets are becoming an essential portion of the profit centers for U.S.-domiciled companies. There’s no magic about it: the U.S. Government has $22T of debt and is running $1T+ deficits every year. There’s a record $15 trillion of corporate debt on the books. Moreover, the U.S. consumers own around $4T, even without computing mortgages, so U.S. corporations are seeking to do business with regions that offer growth and low debt levels. There’s just not much growth that can be derived from an economy that is so indebted and developed already. This is best shown, as I see it, by the fact that unemployment in the U.S. is low, yet wages can’t rise much from their current status since they’ll bite into profits. 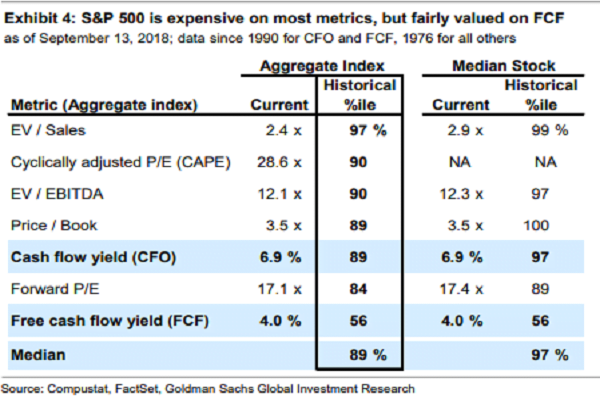 The reason why stocks are incredibly expensive compared with their long-term historical averages is not solely due to fundamentals, then. It is because similar to how people push a heavy stone up the hill, putting all the effort they can muster up to accomplish the mission, the central bank has saught to do the same with a mediocre economy, domestically. When their muscles couldn’t support the stone anymore, they brought artificial tools to help them to carry on. When the tools became outdated, they began “cheating” by using measures that might get the stone further up the hill, but can also backfire on them, sending it rolling down to base camp killing everything in its path. The U.S. economy is that giant stone, and it used to be that hard work (the working class) got it up the hill. Now, artificial measures (especially unreal debt burdens, low interest rates, and central bank manipulation) maintain the facade of the trajectory up the hill, but down below, there are hundreds of millions watching helplessly because they know that there is NO PLAN B. If these emergency contingencies fail, this stone is going to do a 180-degree turn and rewrite the history books, causing a major financial collapse with little hope for a bailout. We’re walking a very thin line. It’s really risky. A clear career path – This is your bread and butter. Your personal skill set must be getting more specialized, unique, and indispensable with each passing day. This is YOUR only genuine safety net: the talents you possess. No politician, central banker, or policy-maker can steal or abuse what you’ve built-up between your two ears. That’s yours. Assets outside the stock market – Don’t discount owning physical precious metals, rental real estate, or private businesses, even fractional ownership claims, along with partners. The stock market can’t be depended upon to be there at your disposal right when you need the cash. The government doesn’t have a PLAN B, so you must have one.